Sight Words, often referred to as High Frequency Words, are words that are most common in the printed language. Believe it or not sight words account for 75% of children’s printed texts according to the Comparatave Study to Identify High Frequency Words in Printed Material by Dennis J. Kear and Marsha A Gladhart. Sight Words are words that dont follow the basic phonics principals and therefor can’t be sounded out so must be learned by sight. 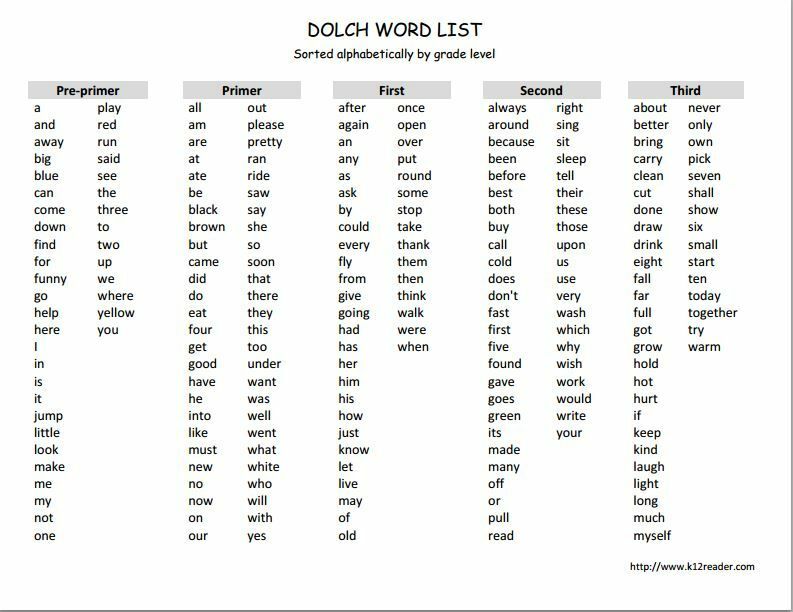 The Dolch Sight Word List is a list of 220 of the most common sight words plus an additional 95 nouns. Sight word rocognition builds confidance! Once a child can recognize his sight words he will have a leg up on his reading since the first 100 sight words account for 50% of text. If he can already recognize half the words in a sentence, he will be less likely to become discouraged while reading. Knowing the sight words can help tremendously with comprehension. Instead of burning her brain power to decode every word on the page, she will be able to focus her attention of decyfering only the unfamiliar words thus allowing for extra brain power to be focused on the ever important skill of comprehension. Although you child will not be expected to master her sight words until the end of Kindergaren, if you have a little bookworm that is raring to go, a great place to start would be with the pre-primer list. 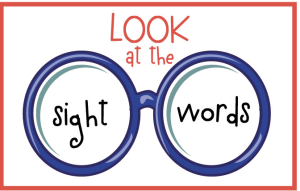 Check back for posts with Sight Word Learning Activities for Kindergartners! Yes, absolutely! The more fluent a reader is with their sight words the easier it will make it for him to comprehend what is being read. I always love doing games and activities with sight words. I will have to do a post soon on some fun sight word centers I have done with my kiddos. As a retired special education teacher I remember well how important sight words are for beginning readers and students with learning disabilities. As they mastered more and more sight words you could just see their confidence rising and their willingness to try reading more. Loved teaching sight words. Thanks for sharing your experience with teaching sight words. I always love teaching the sight words as well. I love watching the confidence grow as the kids start to learn more and more sight words! Wow, I actually did not know the impact of sight words. Interesting read. Thanks for sharing. You’re welcome! I’m so glad you got a chance to read about sight words!